After what seems like an eternity, a Marcos – Imelda no less – stands convicted for graft by a Philippine court for violation of Philippine laws, specifically, violation of Republic Act No. 3019, section 3(h) in connection with Article IX, Section 8 of the 1973 Constitution; cross reference the same provision in the 1987 Constitution. This week’s Deep Dive is into the intricacies of criminal law, sentencing, and procedural remedies at the Sandiganbayan, and beyond. Imelda didn’t even bother to attend the promulgation, supposedly for medical reasons. She did party later that night. Why is her no show significant? Because “(i)n case the accused fails to appear at the scheduled date of promulgation of judgment despite notice, the promulgation shall be made by recording the judgment in the criminal docket …If the judgment is for conviction and the failure of the accused to appear was without justifiable cause, he shall lose the remedies available in these Rules against the judgment and the court shall order his arrest.” This is according to Rule 120, section 6, 2000 Rules on Criminal Procedure. The immediate effect of her no show is that she has lost all her remedies, particularly to remain free on bail, to seek a reconsideration of the judgment, and to file an appeal from the Decision. Under Rule 120, Section 6, she has 15 days from November 9, or until November 24, to: (a) surrender, and (b) file a motion for leave of court to avail of all remedies. In that motion, she would have to state the reasons for her absence and to show that her absence at the promulgation was for justifiable cause. Should the Sandiganbayan find that it is so, she would be allowed to avail of the remedies she has lost, i.e., to post bail and to appeal the judgment. If she fails to do either or both, the decision becomes final and executory and she would have to serve her sentences. Can she still post bail? Assuming she surrenders and asks for leave of court to avail of remedies such as bail, can she still post bail? The Rules on Criminal Procedure makes bail a matter of right only before conviction in the trial court of an offense not punishable by death, reclusion perpetua, or life imprisonment. Upon conviction, bail becomes discretionary and only upon filing of a motion to be admitted to bail by the accused. She would most probably not commit another crime during the pendency of her appeal. Of course, the Supreme Court’s decision in Enrile v. Sandiganbayan et al. gives Imelda another option – to present a case for bail due to humanitarian reasons arising out of age and poor health. Whether she gets to do that, however, is dependent on what she does in the Sandiganbayan. Why 7 sentences? Does this mean she’ll go to jail for 77 years? The courts are entitled to impose as many sentences as there are crimes or felonies that they find to have been proven. This is because each crime or felony is an offense against the State for which the State, through the courts, may seek redress through a conviction of the accused and the imposition of the appropriate sentence for each offense. Because the Sandiganbayan found Imelda guilty on 7 counts, it was duty bound to impose 7 sentences, regardless of the numerical duration and the manner by which they would be served. This does not mean, however, that she will go to jail for 77 years. Under Article 70 of the Revised Penal Code, a convict should serve two or more sentences simultaneously “if the nature of the penalties will so permit,” if not, then the sentences are to be served successively, i.e., one after the other. 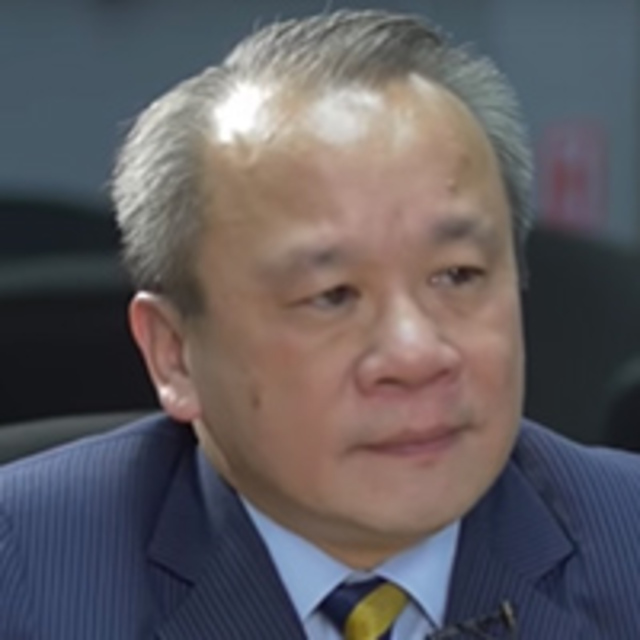 The Sandiganbayan Internal Rules do not provide for a rule on simultaneous or successive service of sentences or the three-fold rule under Article 70 of the Revised Penal Code but it has adopted the rule suppletorily and the Supreme Court has affirmed the application of the “three-fold rule” under Article 70 to the Sandiganbayan. 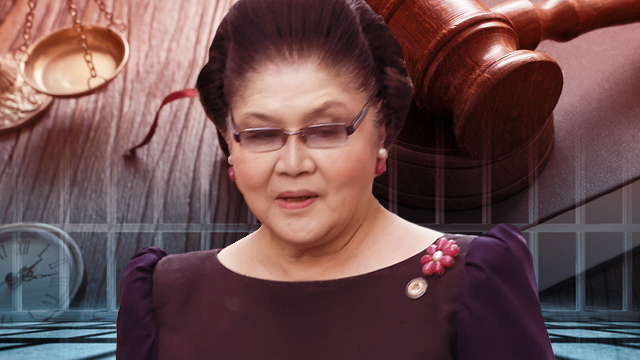 In Imelda’s case, each sentence of “six years and one month to eleven years” is to be served in its entirety, i.e., 11 years, one after the other subject to the three-fold rule which caps the maximum duration of service to 3 times the longest prison term. In Imelda’s case, that would be 33 years. That is the functional equivalent of serving out 3 of the 7 jail terms in their entirety, one after the other. In serving out each prison term, Imelda simultaneously serves out the accessory penalty of perpetual disqualification from public office. So, if Imelda goes to jail this year at 89 years old, she would have to serve 33 years, or until she is 122 years old, unless sooner pardoned by the President or given parole. Age has no bearing on the liability, other than a possible mitigating effect. It has no bearing on the service of the sentence, as well. Old age is relevant only in determining the existence of a mitigating circumstance but is not a factor in the determination of criminal liability, the sentencing, and the service of sentences. Moreover, seniority is not appreciated as mitigating if the offenses were committed before the convict became a senior citizen. At best, her advanced age would be relevant only in determining the location of detention. Whether this judgment reaches the Supreme Court for review, as many speculate it will, is really dependent on what Imelda will do in the next few days. That would be for the next Deep Dive. The Sandiganbayan is not obliged to wait for her to surrender and/or file the motion for leave of court to avail of remedies, as her failure to appear during promulgation despite notice already justifies her immediate arrest and detention. Should that happen, we could have images of a booked Imelda with obligatory mugshot and fingerprinting in the next few days.